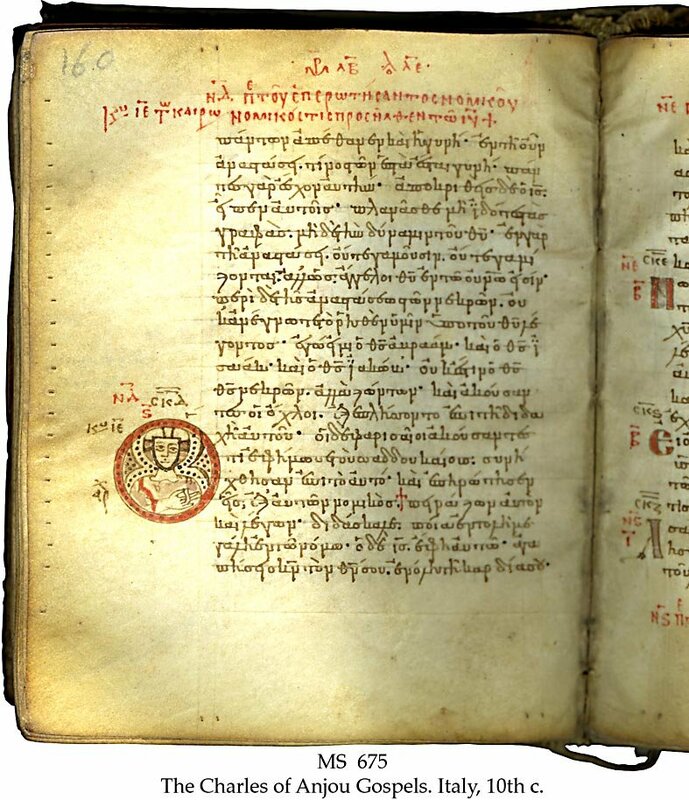 Description	 MS in Greek on vellum, Sicily, Italy, 10th c., 285 ff. 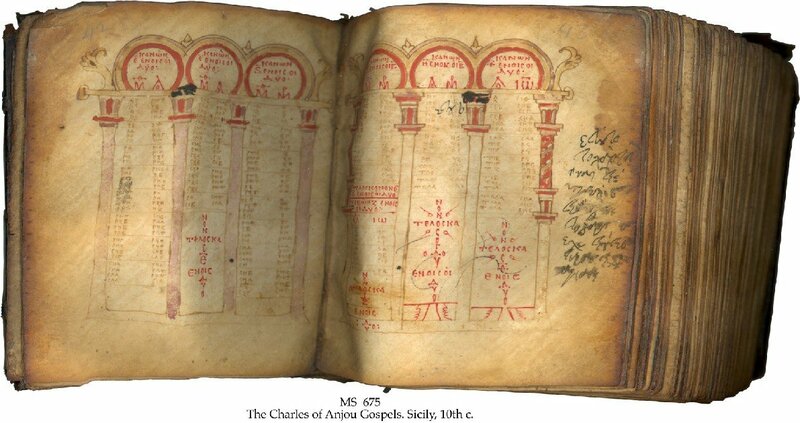 (-17), 15x11 cm, single column, (9x7 cm), 20 lines in Greek minuscule, headings and 9 full pages in red uncials, 7 full-page decorated canon tables, painted initials with zoomorphic ornament throughout, 9 miniature roundels, 8 of them with portrait of Christ, 2 drawings of animals. Binding: Sicily, Italy, 15th c., blindstamped leather over boards, chain stitches on 3 sewing stations, spine raised "alla Grecca". Provenance	 1. Charles of Anjou, King of Naples and Sicily (1273); 2. Bishop Gregor, Myriophyton, Merefte, Turkey; 3. Sotheby's 19.6.1990:79. 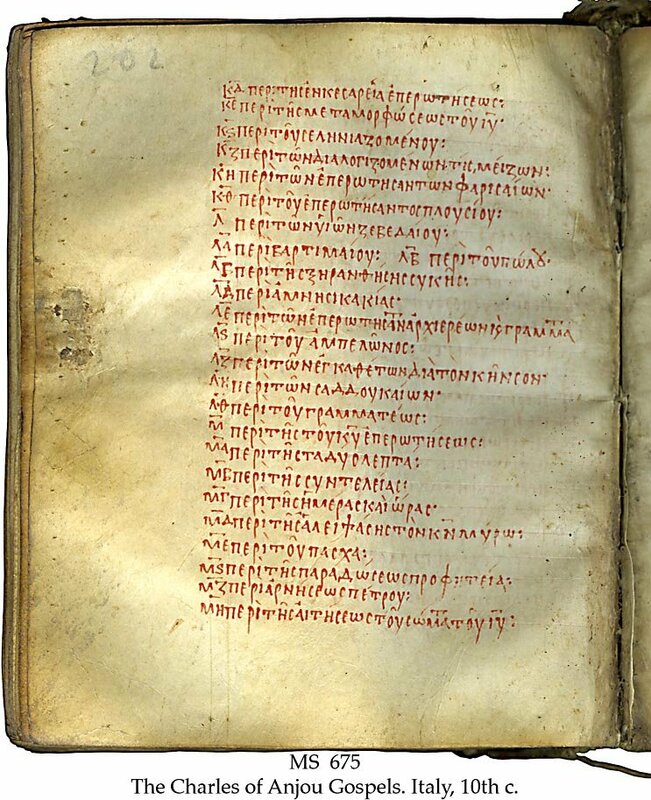 Commentary: Aland 1421, text category 5 (Byzantine recension), with corrections from a better text.